This article provides an explanation of locked mode and how to enable locked mode for you Freedom account. Locked mode makes it impossible to disrupt an active Freedom block session. When locked mode is enabled, you won't be able to delete block lists or devices from your device list while an active Freedom session is running. We do not suggest you enable locked mode until you're comfortable with your Freedom schedules. At that point, you can turn on locked mode for enhanced productivity. 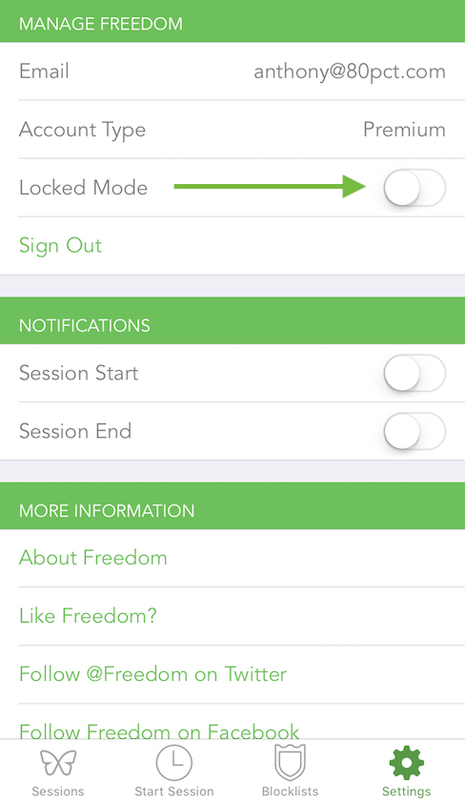 To activate locked mode, log in to freedom.to, and select the Locked Mode checkbox in the options pane. This will enable locked mode. To add extra strength to your sessions across devices, you can also enable locked mode on your iOS devices. Once you activate locked mode on your iOS device, you will be unable to sign out of the app or make any edits to blocklists while sessions are active. To activate locked mode on your iOS devices, simply toggle Locked Mode on from the Settings page. This will enable locked mode on your mobile device. Locked mode can not be disabled while a session is running. For this reason, we suggest only enabling locked mode when you're comfortable with your schedules. 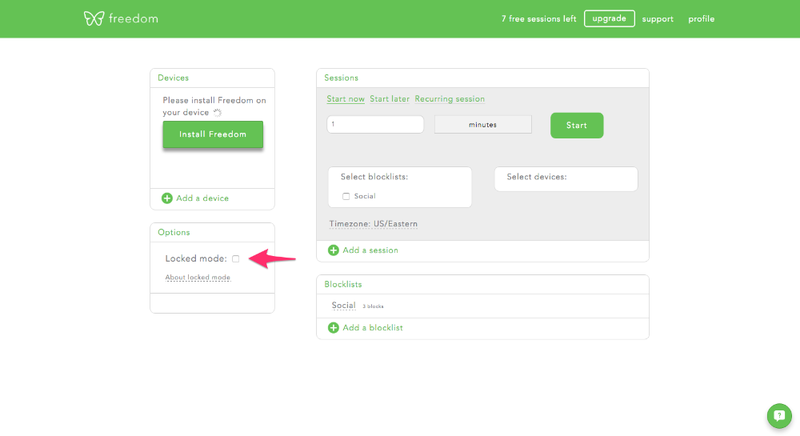 If you need a locked mode session removed, send in a support request at support@freedom.to or chat with us via the green chat bubble in the bottom right corner of the page. We're happy to help!